There are rumblings from the MLB players’ union and agents again this offseason that there are too many high quality free agents still available with spring training around the corner. An extensive list of reasons exists as to reasons why these players have not yet signed, eg. player’s asking price is too high, the term is too long, concerns of injury, bottom teams not spending, and even owners collusion. Whatever the reasons, there is enough talent available in free agency that it alone could form a competitive playoff team for the 2019 season. In addition, as talented as this All Free Agent Team would be, the team’s salary would be easily under the luxury tax threshold of $206mil set for 2019. 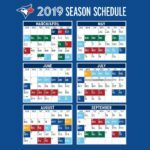 My local sports team, the Toronto Blue Jays, will pathetically be fielding a team that will resemble a farm team roster this season. A diminished product, trying to sell a rebuild, yet the ticket prices will not be diminished. Outside of Justin Smoak and Marcus Stroman, currently the Jays starting lineup looks like a September call up roster. All remaining positions can be upgraded through free agency. One is made to wonder: Why aren’t the Jays filling their roster with some of that afore mentioned available talent? Upgrading every position should be a GMs goal, yet the Jays are poised to sit on their hands and do nothing except pay for player’s salaries on other teams through trades and buyouts. Wieters, a four time all-star, struggled for most of the 2018 season, but has a career average .251/.315/.410. Wieters is a proven catcher with AL East experience. Duda only managed 107 games 2018, but still hit 14 home runs. Duda would not be an upgrade over Justin Smoak, but to have power numbers available in February is a luxury when building a team. Harrison, a two-time All-Star, has compiled a solid .277/.317/.408 slash line as well as 52 home runs, 75 stolen bases over 8 full seasons in the majors. 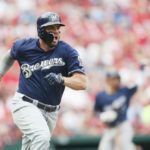 Cries for Vlad Guerrero Jr. to start on the Jays roster will be heard, but having a veteran in Moustakas would be ideal to ease the rookie in the majors. Moustakas batted .251/.315/.459 in a combined 152 games for the Royals and Brewers in 2018. Moustakas can move to DH should VGJ catch fire. 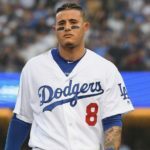 You will need to open the wallet to land Machado. Rumours of 8years/$300,000,000 have been floating around as a salary offer, but more term will land this top free agent. He had one of his best seasons leading up to free agency with an impressive line of .297/.335/.487 while hitting 37 home runs. A rare combination of power and plate discipline at such a young age, his best years are yet to come. Getting a young power infielder in his prime should be a perfect player to build your lineup around. Gonzalez has a respectable career.264/.318/.409 line and can provide some power and speed at the plate. The biggest asset that Gonzalez has is his versatility to play multiple positions on the field. Jones is a five-time All-Star, four-time Silver Slugger Award winner, and a former Gold Glover. However, after a down 2018 season, Jones is looking to bounce back. Whether you think Harper is overrated or not, he is the best young outfielder to hit free agency since Ken Griffey Jr. He would draw in additional fans and increasing ticket demand around the city. 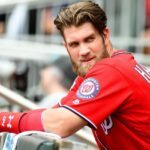 The first team to offer Harper $40mil per season will get his services. His career .279/.388/.512 and ability to draw walks would solidify the three-hole position in the batting order. 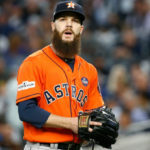 With plenty left in the tank, Keuchel would be the ace of the staff. Although his numbers are slightly diminishing, Gonzalez would be the number 2 starter on a value contract. If healthy, Buchholz will challenge to be the Ace of the staff. He showed signs of brilliance in 2018 when he joined Arizona late in the season, going 12-4 with an ERA of just 2.01 over 16 starts. 32yrs and coming off an injury, Hellickson will likely have to rebuild value on a one-year, low-money contract. “Big Game James” will have one more quality season left in the tank. In 2018, he still managed to pitch 204 inning, amazing for a bottom of the rotation starter. 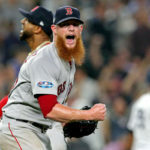 Coming off a World Series championship, Kimbrel is a consistent, top 5 closer in the major leagues. Although inconsistent the last couple of season, still has the stuff to get outs in a reduced setup role. Consistent but pricy lefty specialist is one of the best in the majors year after year. This team can be put together for $188 million, while utility players and backups can be added for bargain basement prices to fill out the rest of the roster. Some players’ projected salaries above might go even lower as Spring Training looms closer. So why aren’t the Blue Jays taking advantage of these players on the open market? This team, for example, would compete to win every game! Perhaps the players union is correct by blaming the bottom dwelling teams for not spending, while taking profit and ignoring the interest of the fans. The Blue Jays management group needs to stop taking the fans for fools, and cease the embarrassing bargain bin shopping for players to fill out a roster. 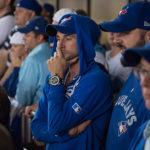 With the Toronto Maple Leafs and Toronto Raptors teams surging, the rebuilding Blue Jays ought to do everything they can to stay current within the sports conversation among Torontonians. Savvy Toronto fans understand a rebuild, but it seems that this front office isn’t even trying to get better results. 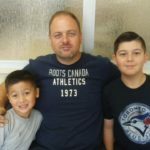 The media giant ownership should be concerned that the Blue Jays will become irrelevant this summer, watching the fan attendance continue to decrease substantially. OR perhaps ownership is hoping no one will even notice how bad the Jays will be with the legalization of marijuana to ease our pain and suffering. That would be a fun line-up to watch in 2019. But let’s be honest, Jays fans ‘are fools’ for the hope the org has been selling them. Until the losses begin to mount, the Toronto fanbase will just be happy that baseball is back. There will be the odd snarky call made to Jays Talk by the end of April. By the end of May, the fanbase will lament their team’s placement in the AL East while not connecting the org’s frugal ways to their place in the standings. The fanbase is exactly why the org can offer up hope in lieu of talent, while continuing to jack prices with virtually no backlash. The org can get away with it. You can’t blame the jerks in business suites who make these decisions if the fans don’t even try to voice dissent. You can point an accusing finger at the fans who don’t question the org’s decisions more critically.